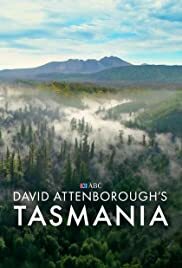 Attenborough narrates the story of a vast island wilderness - ancient forests, pristine rivers and spectacular coastline. Seasons vary from dry heat, strong winds and cold bringing wombats, wallabies and platypus out in daylight. Sir David Attenborough investigates the discovery of a 200 million year old Ichthyosaur on the Jurassic Coast in southern England. When ocean explorer and filmmaker Mike deGruy dies unexpectedly in an accident, his wife returns to the edit room to make a film. David Attenborough follows the remarkable story of the discovery of fossils in the Patagonia region of Argentina which prove to belong to the largest animal to ever walk the Earth. David Attenborough's comprehensive study of how a remarkable group of animals evolved - a group that includes ourselves. David Attenborough investigates the remarkable life and death of Jumbo the elephant - a celebrity animal superstar whose story is said to have inspired the movie Dumbo. The fascinating relationship between predators and their prey, and the strategies predators use to catch their food and prey use to escape death. Evolutionary story of flight from the very first insects to the incredible array of creatures which rule the skies today.